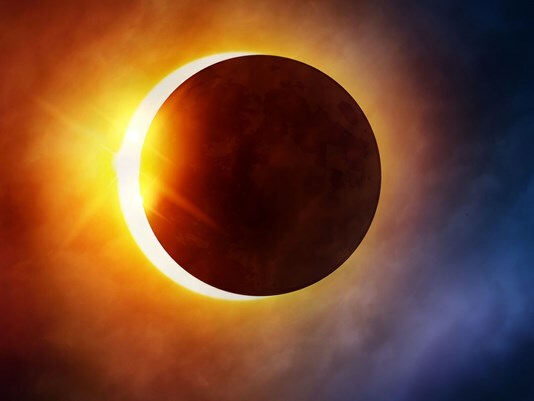 August 21st, “The Great American Solar Eclipse”. Most of the United States had a 50% view of this short, but humbling experience. 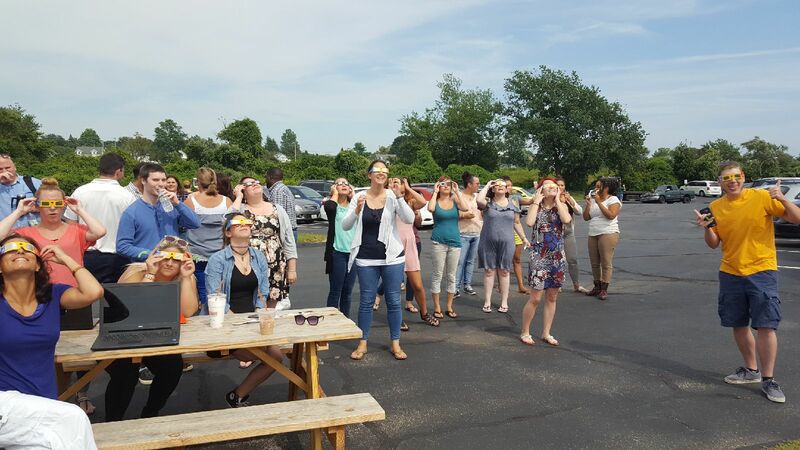 Here in “Little Rhody” at ARS Headquarters, we had a 70% view, and we took full advantage of it! 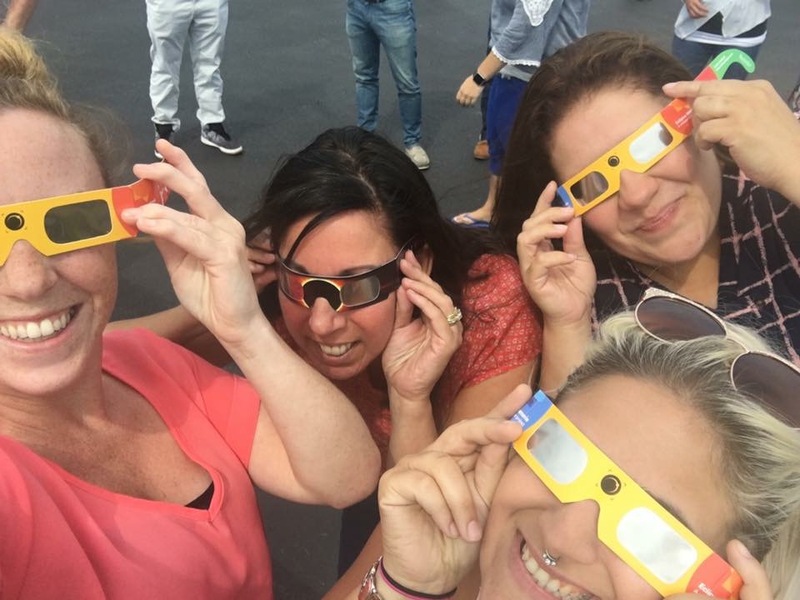 Armed with our ISO approved eclipse glasses, smiles and excitement, all of ARS ventured outside, ready to go! Blankets were quickly spread out, laughs shared, curiosity was piqued as the Great American Solar Eclipse arrived. 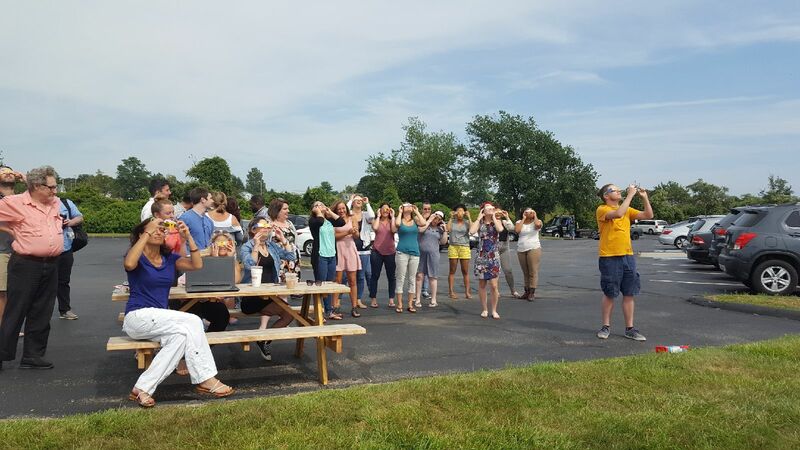 Knowing that the eclipse was happening during work hours, I tried to get as many glasses as I could so everyone could watch. 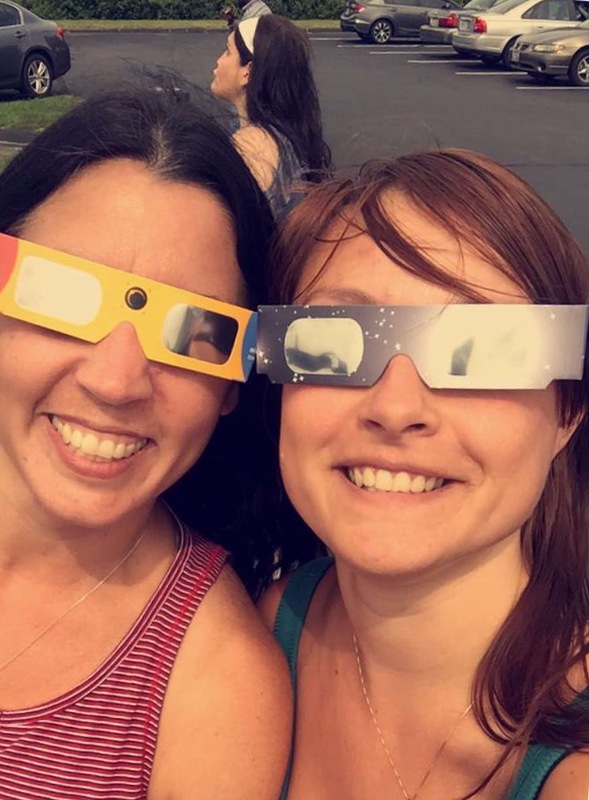 When totality hit, I remember hearing the laughter die down as a sense of awe struck. I briefly looked around and saw everyone’s faces turned towards the sun (or lack partly thereof). At that moment I felt so proud and so happy that I could help my co-workers see this. At the end of the day you go your separate ways with your co-workers, but for that time we were all together. We were so grateful to be in each others company, making this rare memory together as the ARS family. So from the ARS family to yours, I can easily say this day “overshadowed” the rest. I don’t mean to throw out any “shade,” but there are some really bad eclipse jokes going around.